With the possibility to bet on over 100 possible outcomes in football matches on the available sports betting website. 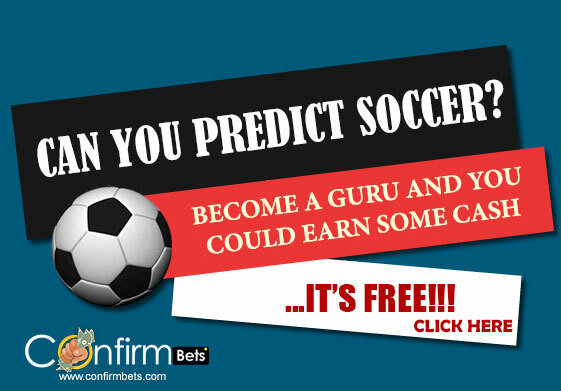 Confirmbets has up to 130 football predictions categories that we have expertise in. we cover from the straightforward and easily understandable categories like “Home win” depicted as “1” on most sports betting site to complicated categories like the “Handicaps” usually depicted as “(1:0)1H” depending on the type of handicap you want to play. When you have a background in betting, these football predictions categories are pretty straightforward to understand along with a good knowledge of football. If you are a newbie to the world of betting, worry not as we got you covered on this blog. We try to educate our audiences not only on how to make money with our football predictions but also to help you understand the different betting outcomes attached to the football prediction categories. Starting with the easy one which is the most common and probably the most profitable; Make a guess…..
You guess right, it is the “Home win” category. If you are in a rush, find out more about this category in understanding football betting outcomes/markets and see the latest prediction under the Home win. Meanwhile, when you take your time to go through this article, there is a lot to learn to improve your winning chances when it comes to using betting tips. I mentioned earlier that this is most common and the most bet category by punters. It is made possible by the usual home advantage attached to league football across the world. Any team in any league certainly has more of there own fans in the stadium than the fans of the opposing team in a league game. More fans coupled with the advantage of knowing your stadium more than the opponent having to play the majority of their matches there. A random question; As a football fan, where do feel the most confident your team will win a match; HOME or AWAY? 80% of football fans would vote for a home win for the team they support. Any team going to stadiums like Camp Nou, Old Trafford, Anfield, Emirates, Signal Idunna, Stamford bridge, Santiago Bernabeu etc. you know it is not going to be an easy task to come back with a draw not to talk of a win. Home win rules and prediction are different and complicated for knockout competitions like the World Cup, Euro Cup etc. Mostly, teams in this competition are playing at a neutral ground and one team is assigned as the home and the other away even though they are both on a neutral ground. Cases like this also occur in finals of the cup competition in various leagues across the world. Moving on to the second most popular football predictions categories. An average football fan without betting experience will think it is the “Away win” category. 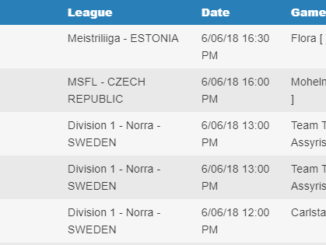 To prove them wrong, Judging by the number of predictions we have available daily on confirmbets.com, “Over 1.5” has the most prediction daily after the home win on the platform. Having spent much time with punters in a lot of bet shop and betting pattern among punters. I have come to realise with the support of the statistics from the best prediction site and the pattern of football predictions from the experts that only home win makes more money than “Over 1.5″. With your familiarity with the betting clime, you would have found experts that deals in over 1.5 only. 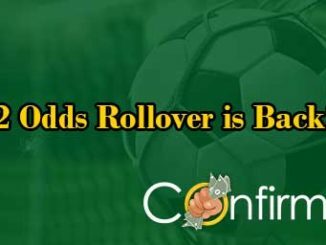 If you are an expert in football predictions, read How to earn on confirmbets. To win using this tip, the match must end with at least 2 goals scored. Read more here. Get all predictions in Over 1.5 category. This category is a money making sure odds. The odds might be small but with consistency, you are definitely hitting it big. See all our Over 1.5 predictions here and bookmark the page to see the daily update. Talking about the football prediction category that will rank third is the….. The Over 2.5 Category, which as popular as the previous one but a little bit risky. Every football fan love to watch matches with a high scoreline. We all love to see our strikers score a lot of goals and our midfielders lay that killer pass. Show me a football fan that doesn’t like his/her team to score a lot of goals except maybe a team coach by Mourinho(LOL). We football fans love the attacking football (Heavy Metal Football). With this in mind, Football prediction gurus look for games that involve two high scoring team to capitalise and make a profit. An example of that is the just concluded UEFA Champions League Final between Real Madrid and Liverpool. Get the latest over 2.5 sure odds Here. 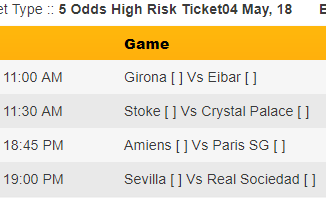 You want the best odd with high returns, go to the over 2.5 goals prediction. 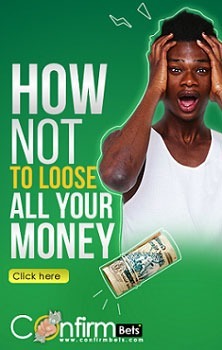 It is a goldmine filled with wonderful odds by sports betting website. There is a lot of sports betting websites you could stake your games out there. You can look forward to my article on how to place bets on this sports betting website and how to choose the best one to stake in games. Don’t forget we still a lot more games for your on our website, click the link below. To be a part of the winning Revolution, Click Here.